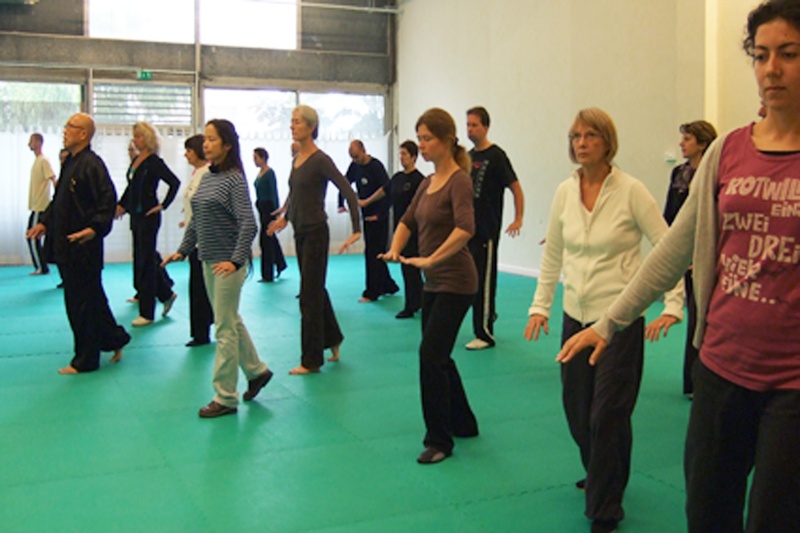 Qigong at Maison du Taiji, Paris. Some great photos from Anne-Marie Tuzet (Artiste Plasticien) on our last weekend Qigong workshop in Paris. I spoke about and taught the fundamentals of Qigong and how it works, plus how it can be layered to become martial qigong, Buddhist qigong, Daoist qigong and medical qigong and even how some charlatans can use the same fundamentals to “mind control” and fleece their targets. It was a great workshop (the Taiji half-day as well) and I would like to take the opportunity to thank Anne-Marie for the photos and thank also Luce Condamine for making it happened. Group photo, Anne -Marie is the last person to the left of the photo and Luce stands next to me. 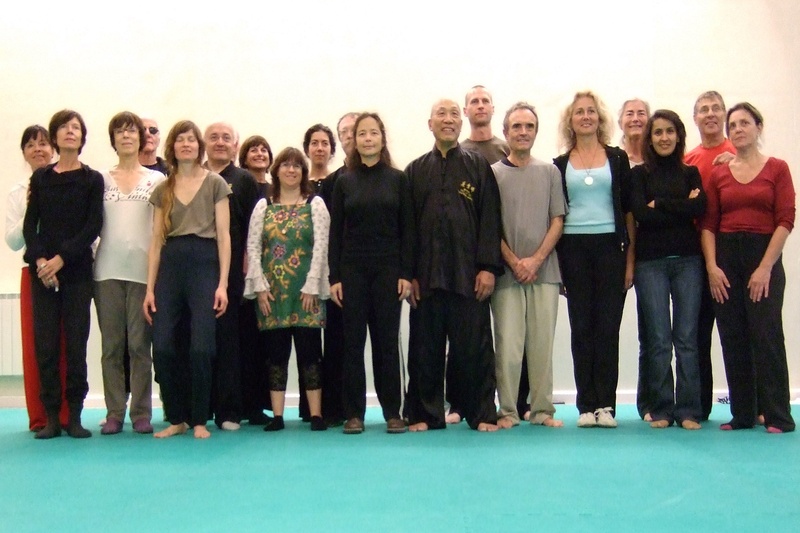 Tags: Anne-Marie Tuzet, Luce Condamine, Maison du Taiji, Paris Qigong.